1. Amanda over at Kind Over Matter has created a gorgeous new book called Zen & the Art of Being a Work-at-Home Mama. I am honored to be one of the women interviewed in this book and was lucky enough to read a sneak peek this week. And as I was reading, I kept nodding my head and thinking about how the experience was like being curled up on the couch with a dear friend sharing stories about all that being a work-at-home mama means. 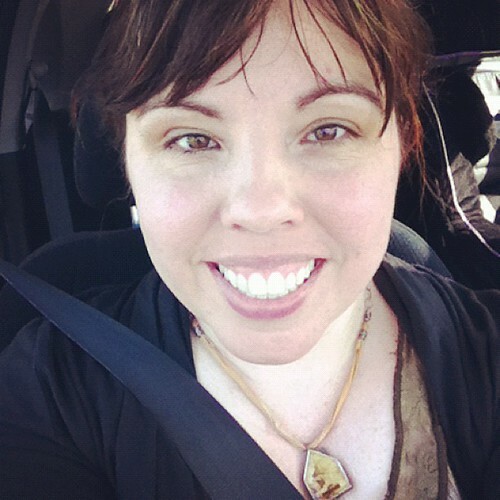 Amanda holds nothing back as she shares glimpses into her real world paired with accessible tips you can implement right now. I loved every word! If you are a creative mama who needs to be reminded you are not alone in this crazy, real, awesome, hard magical work-at-home world, then this book is for you. 2. 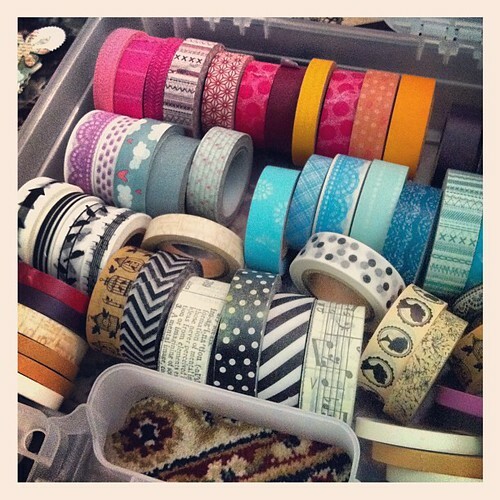 Washi tape: So this is most of my ever-growing collection. I'm working on a project that has me playing with paper + words + color over here and washi tape is playing a big part. When I posted this on Instagram, people asked a few questions, so I wanted to share some of my resources. My favorite online shops are: Pretty Tape and Freckled Fawn. The birds on wire and in birdcages, the arrows, and the silhouette tapes are from Michaels (they have them right now). There is some Tim Holtz tissue tape in there too. 3. Oh my goodness how I love Molly's blog over at Orangette. And her post about granola bars had my stomach rumbling and then had me looking at several of her granola recipes,which caused me to begin to feel nostalgic for something I've never even experienced (aka home made granola baking in the oven while I sit at the counter doing a crossword puzzle). This weekend, granola in some form or another will be made around these parts. 4. Have you seen Jennifer Louden's new Creating Your Own Mastermind Group course? I've signed up and can't wait! 5. Remembering this simple truth: When I get out of the house alone, even if just for a few minutes, I feel like I reboot and come back to center. And reading Andrea's blog post this week (and her link to this article) had me really feeling like I'm not alone (or crazy) in wanting and needing this.